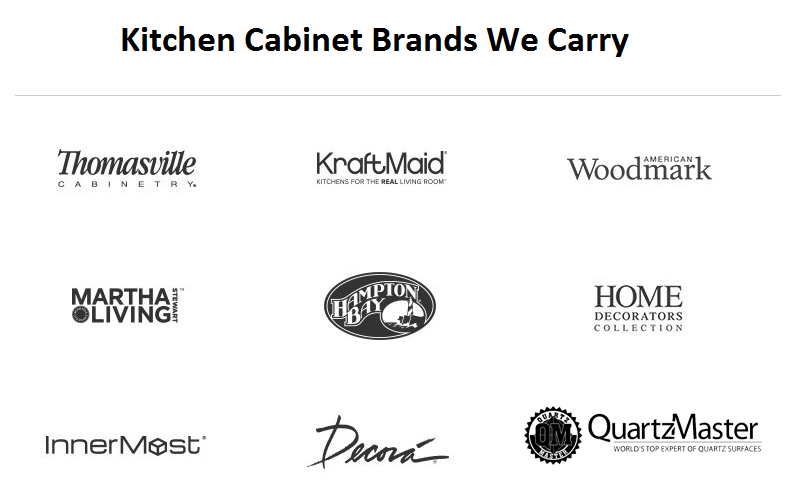 come in a wide variety of styles. 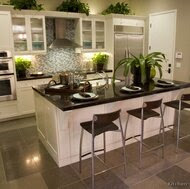 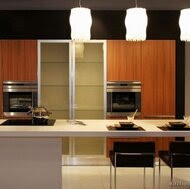 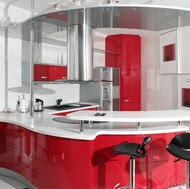 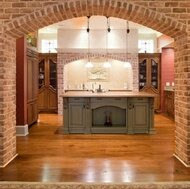 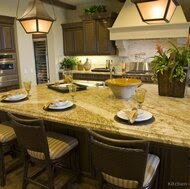 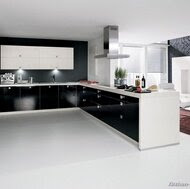 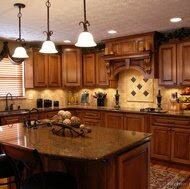 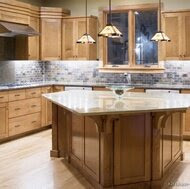 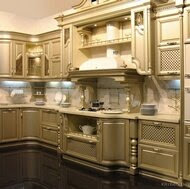 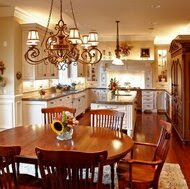 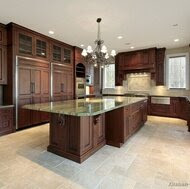 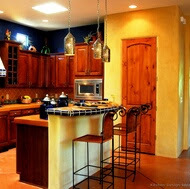 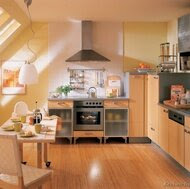 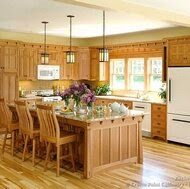 Most kitchen cabinet styles can be classified as either modern or traditional, with many subcategories to choose from. 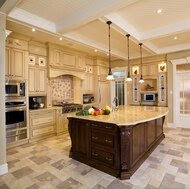 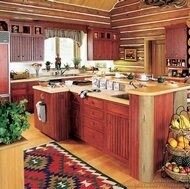 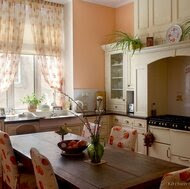 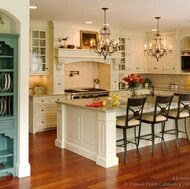 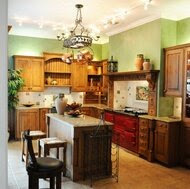 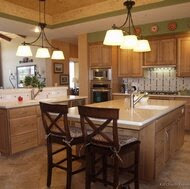 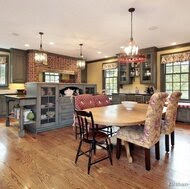 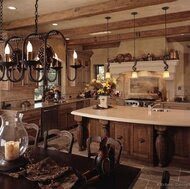 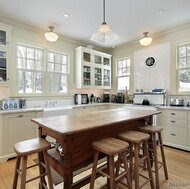 Cottage style kitchens tend to be more feminine in appearance than their slightly more rustic country counterparts. 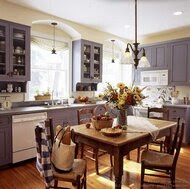 Cottage kitchens most often include farm sinks, simple moldings, and painted cabinets without added glazing..
French country kitchens portray the beauty and character of rural France. 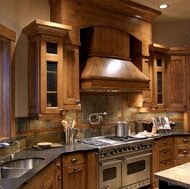 With natural materials and earth tones foremost in the color palette, a country French kitchen design creates the perfect space for comfortable living and authentic cooking..
Gourmet kitchens are luxury environments that are made for cooking. 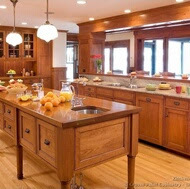 Professional appliances, a large working island, and secondary sinks are arranged to create a true gourmet kitchen design..
Retro kitchen designs are made to revive the nostalgic fashions of the past. 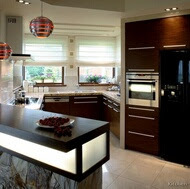 Retro kitchen appliances, old-fashioned telephones, classic memorabilia, and even retro futuristic designs can be used to complete the picture of today's creative retro kitchens..